Countless times Poland has been occupied by foreign conquerors and even disappeared completely from the world map several times. But the country Poland was also once one of the great powers of Europe and was responsible for the Ottomans not to advance further than Vienna in the continent. In every corner of the country a different history - the west of the country was completely ruined and only after WWII was "returned" to Poland by expelling all the Germans that lived there. 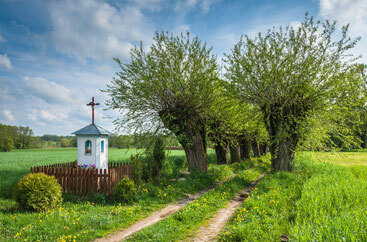 The east side was just shortened and the Poles in present-day Lithuania, Belarus and Ukraine were transferred to Poland. Not surprising that the country is one of the most homogeneous populations in the world. To the north, the notorious Teutonic Knights were a fearsome power in the Middle Ages and to this day you can see their legacy in their headquarters in Malbork, among other places. The city of Danzig was autonomous during a fascinating period in history - first a powerful Hanseatic city in which many Flemish architects were hired to decorate the city. Even if you walk there now (while the city is almost completely rebuilt after it was destroyed in WWII) you could almost say that you are walking around in a Dutch or Flemish city. 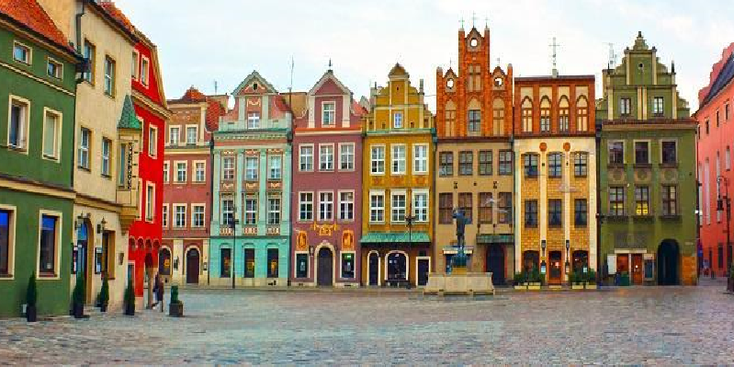 After WWI it became a city under the banner of the League of Nations in which Poles were allowed to use the port. It would be a breaking point for the Germans, or rather for the Allies, from which the Second World War would sprout. It was here that the first bullets were fired for a war that would be particularly difficult for Poland but would eventually bring peace. Little remained of their Jewish population, which was huge and powerful, and the Poles were mainly deployed as work slaves and / or expelled from their place to make room for ethnic Germans from Eastern Europe during WW2. The district which was renamed "General Government" would be gassed millions in the extermination camps set up by the Nazis. 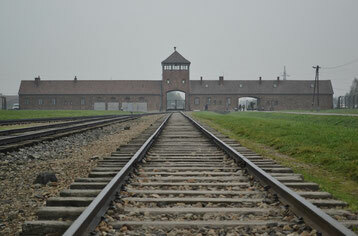 Names like "Sobibor", "Treblinka", Belzec and Auswitsch raise many eyebrows. The ghettos of Lodz, Warchau and Lublin would write a dark page in world history. But also the infamous "Wolfsschanze" the headquarters of Nazi leader "Adolf Hitler" would be built in former Prussia (now northeastern Poland). This complex is a major tourist attraction in the area which is best known for its large number of lakes where many tourists come to sail their boats, water skiing or swimming. With the border with Belarus, the "Bialowieza" national park is amazing - a primeval forest where European bison has been set out and many other big animals still roam free. In the centre of the country lies the capital Warchau - a city with once again a very interesting and impressive history. In WWII almost completely destroyed by countless uprisings and bombing by all parties. The Jewish uprising in 1943, the Polish uprising in 1944 when the Russians stopped a few kilometers and the subsequent blow of the Germans as reprisal. The city has been rebuilt in all its splendor in old style and is strangely set on the UNESCO World Heritage List. Zamosc in the southeast of the country is almost an Italian town with a beautiful large square and if you're interested you can visit the best-preserved concentration camp "Madajnek" in Lublin. 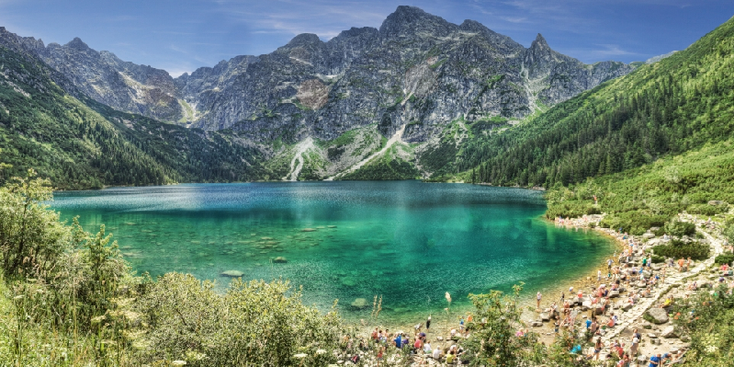 The High Tatras speak to the imagination in the south of Poland - high peaks, lakes, brown bears and the city of Zakopane which ensures that you as a tourist are not short of anything. But South Poland has more mountains and hills where you can hike like the Pieniny hills. Finally, there is the southwest with the old German city "Breslau" which was renamed Wroclaw after WWII. 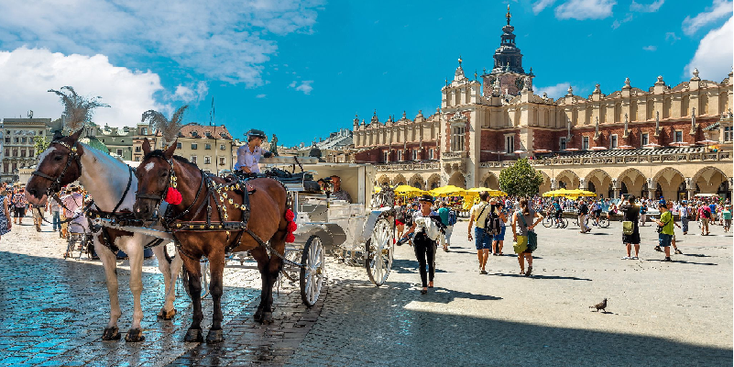 Here too, the city center is completely reconstructed and is certainly worth a visit - the Poles will do everything to optimize your stay with their courtesy and friendliness even though they can sometimes appear stiff and independent. On the other hand, they will be happy to make contact with you to learn from you. 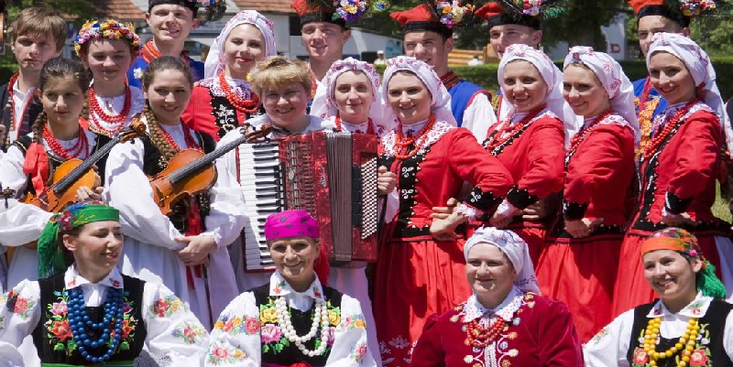 Poland is a country that has made a giant step forward economically but is still a very affordable country which is as good as complete and has something for everyone.